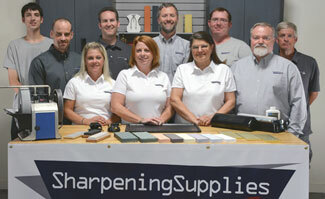 At SharpeningSupplies.com we believe in fast service. We use US Postal Priority service for all of our shipments going to Canada. We stock our merchandise in our Wisconsin warehouse. This location allows us to deliver to most Canadian addresses in 6-10 shipping days. In stock orders received by 2:00 CST are shipped the same day. Our fast order turnaround ensures you get your product on time and in great shape. Canadian customers are responsible for any VAT, customs fees, or duties that may be due at time of delivery. On orders shipping to Canada we base our shipping charges on the weight of the item. These charges are easily viewed in your shopping cart. Just add the items to your cart and we will calculate the the charges to your destination.